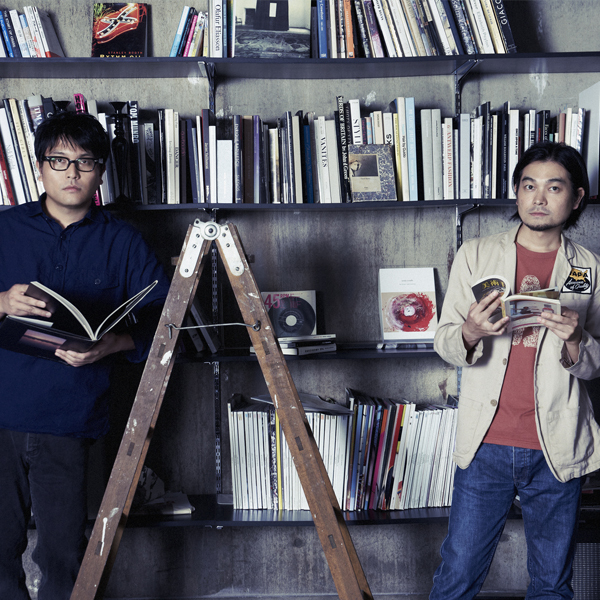 Contemporary avant-rock duo KIRINJI formed in October 1996, in Tokyo, Japan when brothers Yasuyuki and Takaki Horigome (both Guitar/Vox, respectively) started writing songs together. It did not take much time for their well-kneaded sweet melodies to capture much of attention and respect from surrounding artists and audience. The lyrics so original, one of a kind harmony that only these brothers can create, and their well refined production immediately summed up all together and created the one and only ‘KIRINJI world’. They soon successfully established themselves in the limelight of the J-pop scene, as their self-titled debut album “KIRINJI” released indie in 1997. Out of a record-companies-offer-scramble, the duo decided to make a major debut with Warner Music Japan in the following year, 1998. In the year of 2000, their 3rd album “3” which included their masterpiece ‘Aliens’ made a smash hit in charts everywhere in Japan. In 2003 they transfered to the record company TOSHIBA EMI, and in November of the same year, the duo made a 7-city-nationwide-tour, that ended up packing the venues all throughout Japan, including the phenomenal Budokan Hall in Tokyo. While remaining on a musical quest, the brothers decided in 2005, to moved onto another record company, Columbia Music Entertainment to work on solo: Yasuyuki Horigome made a solo debut with “Uma-No-Hone (Horse Bone)” in June, followed by Takaki Horigome releasing his solo album in November. It is still fresh in our memory that the revealing of their individual work did actually represent the most coherent articulation of the duo—ever since then, their sounds developed considerably, and their sense of musical expression made a vast stretch, as their acclaimed album after 3 years “DODECAGON”(released in October 2006) had proven so. None of the dedicated KIRINJI fans could resist to see the opening of KIRINJI season 2 in the album. The Album presented a brand new world of KIRINJI with plenty of eclectic electric elements added to their ackowledged sweet organic song writing. 6 original albums, and 16 single cuts released up to date. The band continues to write new music and tour.